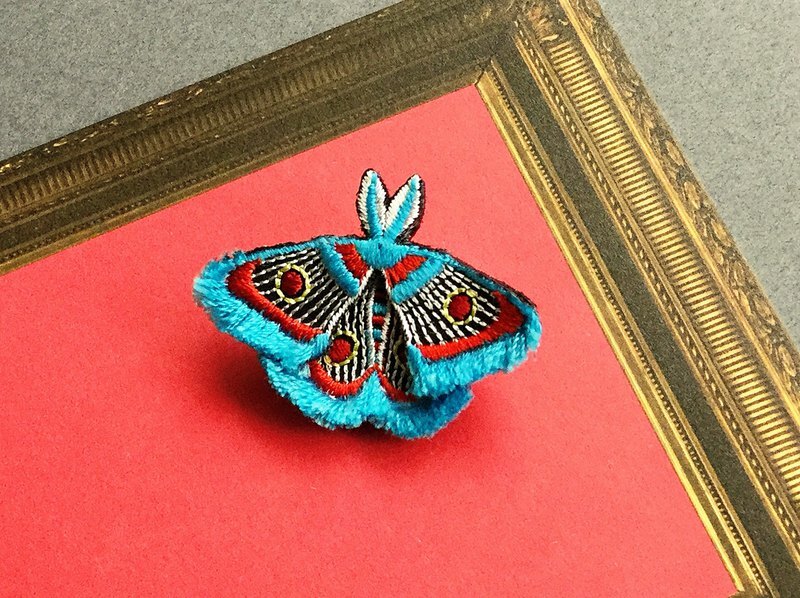 This is a colorful and three-dimensionally assembled brooch with a machine embroidered "moth" motif. * Incorrect products (from actual order). Repayment request(https://jp.pinkoi.com/my/refund) Designed in Japan. Made in Japan.